Dublin restaurant Heron and Grey in Blackrock has been awarded its first Michelin star in a ceremony streamed across the world this afternoon. Andrew Heron and Damien Grey co-own the venture and accepted the award in London earlier today. 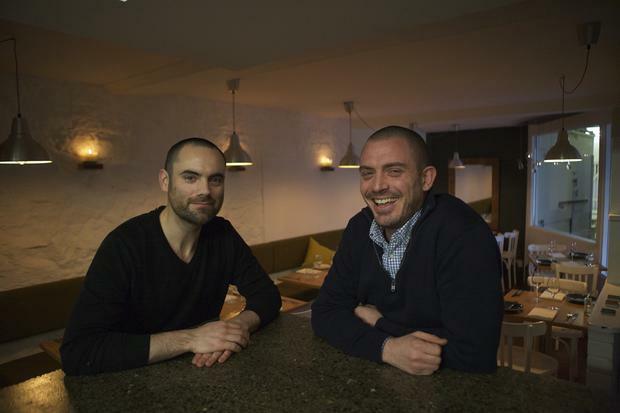 Although a partnership, the restaurant is personally run by Heron, while Grey heads the kitchen. The restaurant's ethos is hugely based on season and values Irish producers and the menu changes every fortnight. The new venture has not yet celebrated its first anniversary, as Heron and Grey's doors only opened in December. Taking to Instagram earlier today, Heron and Grey thanked the team behind the restaurant and the support of chef Roisin Gillen. "Our biggest thanks go out to the real team behind Heron and Grey. Our wives Claudine and Jessica and our support from opening day in the kitchen, Roisin," the wrote sharing an image of themselves clinking glasses in London. 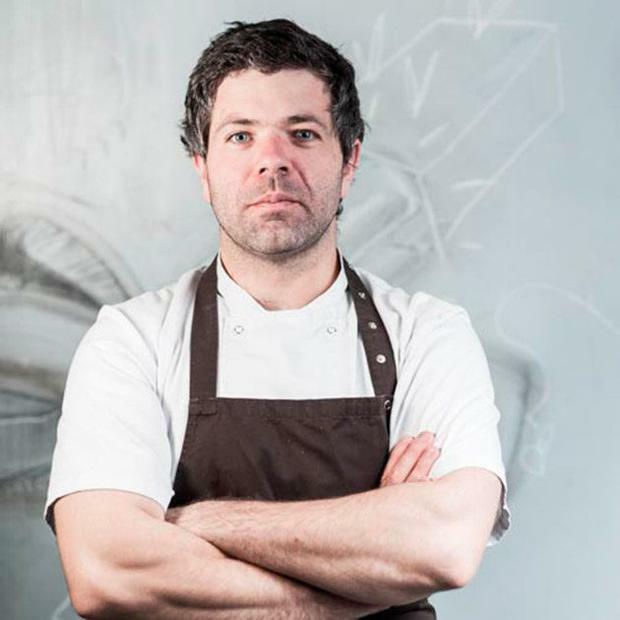 Ross Lewis at Chapter One retained a Michelin star in 2017's Guide released this morning. Meanwhile, all nine Irish restaurants awarded Michelin stars in last year's guide have retained them. Aniar and Loam in Galway, The Greenhouse in Dublin, House in Ardmore, Campagne and Lady Helen in Kilkenny and Dublin's Chapter One and L'Écrivan each retained their Michelin star status, while Patrick Guilbaud retained its two Michelin stars. In Northern Ireland Eipic and OX have also retained their Michelin accolades. Five Bib Gourmands were dished out in Dublin - to Delahunt, Etto, Pichet, The Pig's Ear and Pigeon House. Also awarded a Bib were 1826, in Adare, Co Limerick, The Courthouse, in Carrickmacross, Co Monaghan, Cafe Hans, in Cashel, Co Tipperary, Sha-Roe Bistro, in Clonegal, Co Carlow, Chart House, in Dingle, Co Kerry, and Aldridge Lodge, in Duncannon, Co Wexford. They were joined by The Copper Hen, in Tramore, Co Waterford, Giovannelli, in Killorglin, Co Kerry, Bastion and Fishy Fishy, both in Kinsale, Co Cork, and Wild Honey Inn, in Lisdoonvarna, Co Clare. 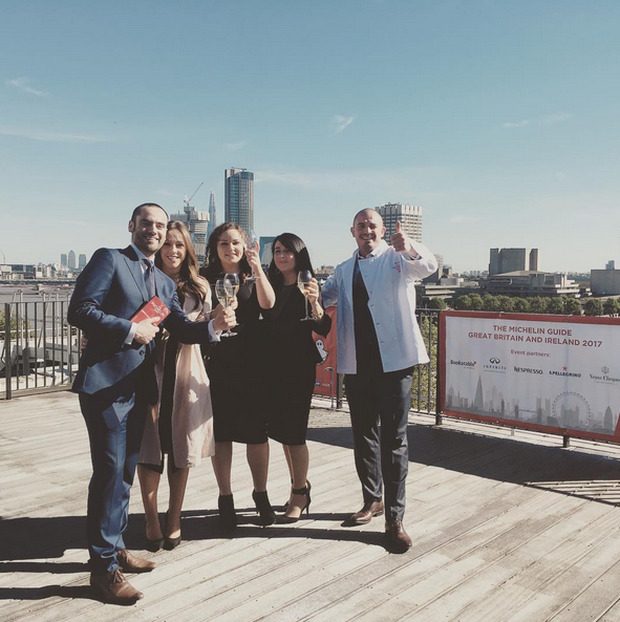 The Michelin Guide for Great Britain and Ireland 2017 was launched at an event this afternoon with some of the world’s most elite chefs and restaurateurs in attendance. The event was live streamed across the world from London’s Institution of Engineering and Technology. Claire Smyth, Chef Patron at Restaurant Gordon Ramsay in London was named Female Chef of the Year while Hampton Manor was credited in the guide for superior Welcome and Service.